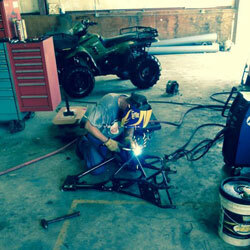 St. Amant Cycles in Gonzales provides a Wide Range Of Services And Products for your ATV, motorcycle, or golf cart. We provide maintenance services and repairs to get you back on the trail. We work with major ATV manufacturers including Honda, Suzuki, Kawasaki, Artic Cat, and Argo to name a few. 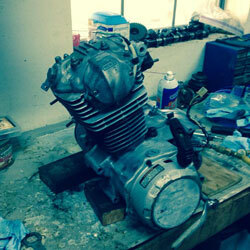 We have experience working on bikes manufactured by Harley Davidson, Honda Motor Company, Yamaha, and many other well-known dealers. We can complete exterior work such as scratch and dent removal, paint refinishing, and frame repair. We also provide oil changes, tire rotation, filter changes, and other maintenance. We can also make major repairs such as starter replacement, engine upgrades, transmission work, and many other services as needed. Bring in your golf cart, bike, or ATV and we’ll diagnose the problem, give you an accurate, affordable estimate, and complete your repair as soon as possible so you can get back to having fun outdoors. Our Gonzales sports vehicle shop has tires to fit any type of off road vehicle, including ATVs and motorcycles. Whether you have a flat and need one tire replaced or you’re looking for a complete set of new tires, we have the size and type you need. St. Amant Cycles also has other replacement parts and accessories. Chance are we have what you need in our inventory, or we can find the part for you. Call or stop in today to get the part you’re looking for.